↑ Diggs, Nancy Brown (1998). Steel Butterflies: Japanese Women and the American Experience. Albany: State Univ. of New York Press. p. 99. ISBN 0791436233. 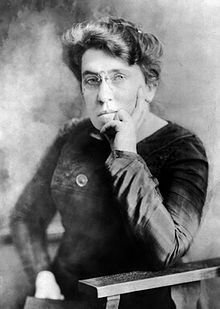 "Like other radicals of the time, Noe Itō was most influenced by none other than Emma Goldman."